From the 1960s onwards, Japan’s rapid economic growth coincided with remarkably smooth transitions from school to work and with internationally low levels of youth unemployment. However, this changed dramatically in the 1990s, and by the 2000s, youth employment came to be recognized as a serious concern requiring an immediate response. What shape did this response take? 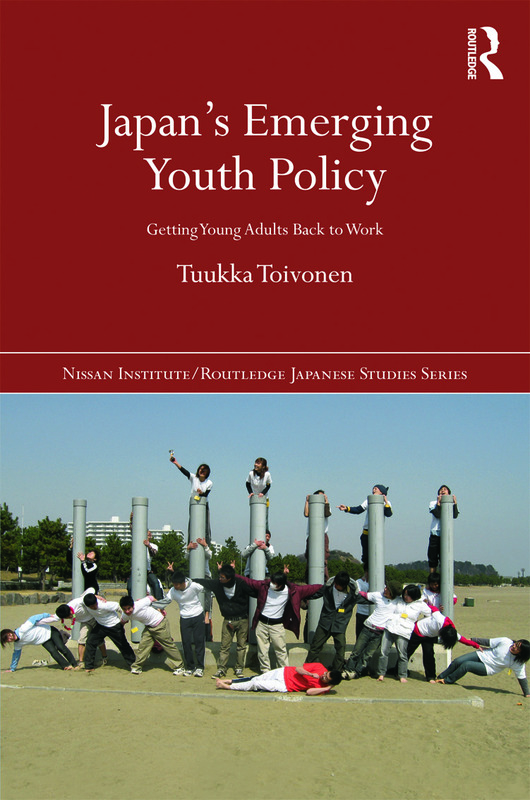 Japan’s Emerging Youth Policy is the first book to investigate in detail how the state, experts, the media as well as youth workers have reacted to the troubling rise of youth joblessness in early 21st century Japan. The answer that emerges is as complex as it is fascinating, but comprises two essential elements. First, instead of institutional ‘carrots and sticks’ as seen in Europe, actors belonging to mainstream Japan have deployed controversial labels such as NEET (‘Not in Education, Employment or Training’) to steer inactive youth into low-wage jobs. A second approach has been crafted by entrepreneurial youth support leaders that builds on what the author refers to as ‘communities of recognition’. As illustrated in this book using evidence from real sites of youth support, one such methodology consists of ‘exploring the user’ (i.e. the support-receiver) whereby complex disadvantages, family relationships and local employment contexts are skilfully negotiated. It is this second dimension in Japan’s response to youth exclusion that suggests sustainable, internationally attractive solutions to the employment dilemmas that virtually all post-industrial nations currently face but which none have yet seriously addressed. Based on extensive fieldwork that draws on both sociological and policy science approaches, this book will be welcomed by students, scholars and practitioners in the fields of Japanese and East Asian studies, comparative social policy, youth sociology, the sociology of social problems and social work. Tuukka Toivonen is Junior Research Fellow in Management at Green Templeton College, University of Oxford, UK (www.tuukkatoivonen.org).